AQUA VIDA (foot detox) is a system to detoxify the body, in a safe, simple user friendly way. The key to this system is a special high-tech array that emits a bio-energetic resonance into the water that then passes through the pathways of the body. Using the feet as a conduit to improve ones’ overall health by unblocking vital energy pathways is not new. The Chinese use of foot manipulation is ancient. The AQUA VIDA process makes use of the body’s natural catharsis and works by energizing the water to attract both positive and negative ions both in the water and in the body. When the foot spa is turned on, the array emits bio-energetic resonance that travels through the water and, an electrolytic reaction takes place. The water in the foot spa stimulates the body and creates a positive effect on the balancing of our well-being. The ionic technique of cleansing through our feet provides a full body purge of all vital organs, resulting in reduced menopause symptoms, menstrual cramps, sexual health problems, skin problems, acne, sleep problems, restlessness, stress, toothaches, vaginal dryness, wrinkles, and yeast infections. The internal cleansing also results in faster disease healing and inquiry recovery. Headaches, obesity, constipation, poor circulation, acne, bad breath, digestive disorders, forgetfulness, allergies and cellulite to name a few. High blood pressure, arthritis, diabetes, heart problems, kidney failure and even cancer are a few severe cases of toxicity. Helps speed up the metabolism to help in weight reduction. Normalizes Blood Pressure and increases Blood Circulation. 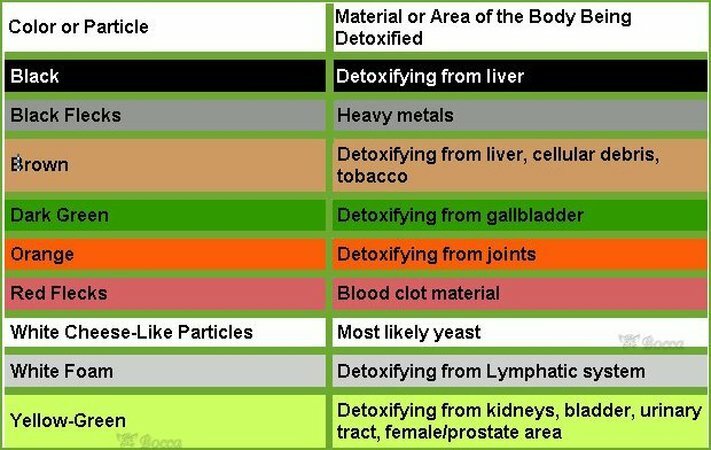 Liver Detoxification Purges Heavy Metals, Increases Energy and Reduces Stress. Internal Cleansing with Full Body Purge Improves Sexual Health, Significant Pain Relief, pain relief online drugstore, Improves Memory, and Sleep. Liver, Kidneys and Parasite Cleanse. Wrinkles, Acne and other Skin Problems. Enhances Immune System, Creates a positive effect on the balancing of our well-being.